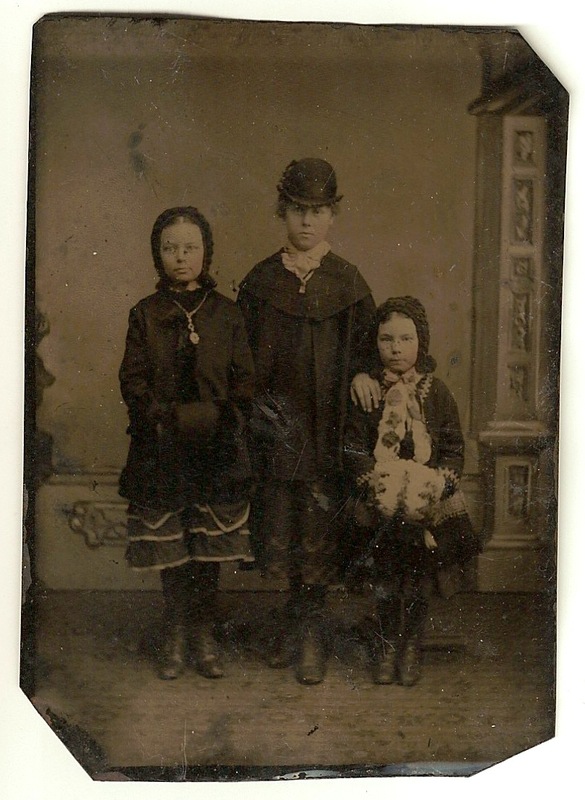 Today's image is the last of the four unknown tintypes I found in my late Uncle Jim's photo collection. The previous ones being found HERE, HERE, and HERE. I still believe they are family, but I'm unsure who they may be. I wish I had a Derby like that. 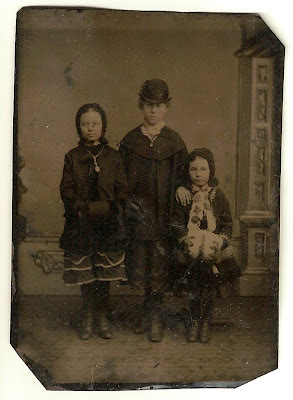 I spent several minutes comparing tintype 3 and tintype 4 and I feel like the little girl with the white fur muffs and the little girl with the chair are the same. I hope you find out more one day. The mystery is both fun and frustrating. Have a great evening. The girl with the chair in picture 3 is definitely related to some of the girls in this picture. I love the way they are dressed.